Zee Monodee: Writing Wednesday: What makes a character him/her... and how that makes you original! Writing Wednesday: What makes a character him/her... and how that makes you original! I started a series of writing advice posts about Originality a few weeks ago on this blog. Then I got side-lined by the holidays, health mishaps, vacuum-suctioned time - you name it. I'd promised to bring this series back though, so here it is. Wanna go check what I'd said at the very start? The Difference in Similarity post holds it all. Now what's today gonna be about? Backstory. *I can hear groans out there* Bear with me, people!! :) I swear it's worth your while. Not too long ago, I was chatting with a writer-wannabe (you'll understand why I describe him as such because frankly, he is clueless about the real writing world). He wanted to hit the writing hard and fast. Though he didn't have the high big hopes of hitting bestseller lists and making his first million right away, he was, well, clueless. His words: well, how hard can it be really? You pluck two people, put them in a setting, and make them fall in love. Uh-oh, I thought. Mate, you got it completely wrong! Him: Well, that's how it happens in real life! Me: True, but before you pitch 2 people together, don't you stop to wonder if the bloke is maybe a football die-hard fan, and will the girl accept to become a football widow? Will she, on the other hand, maybe thrive within that position? What if her fave dish is seafood, and he carries an epinephrine pen always with him coz the mere smell of shellfish can send him into anaphylactic shock? What if, he has slugged to get his degree, and she never wanted to go beyond her O-levels? Him: oh, why would I bother with stuff that's irrelevant? That's the past, babe (yes, he did say, babe.) I'm looking at the present, towards the future. Why bother thinking up stuff I'd never get to tell about, eh? The point being here - people are who they are because of all they've been through. Their backstory shapes them into what they are, into how they view and attack/savour life, how they approach people, what makes or breaks situations/relationships for them. You might not get to make your absolutely scintillating backstory shine out out to everyone's eyes because that part of their life is not gonna get written, but don't think you can scrimp on that aspect. Just Don't!! Why? Because this utterly scintillating and riveting backstory can in fact be your treasure trove of originality. It can give you new directions, give a complete Botox+Restylane lifting to your sagging middle, provide a bombshell ending. 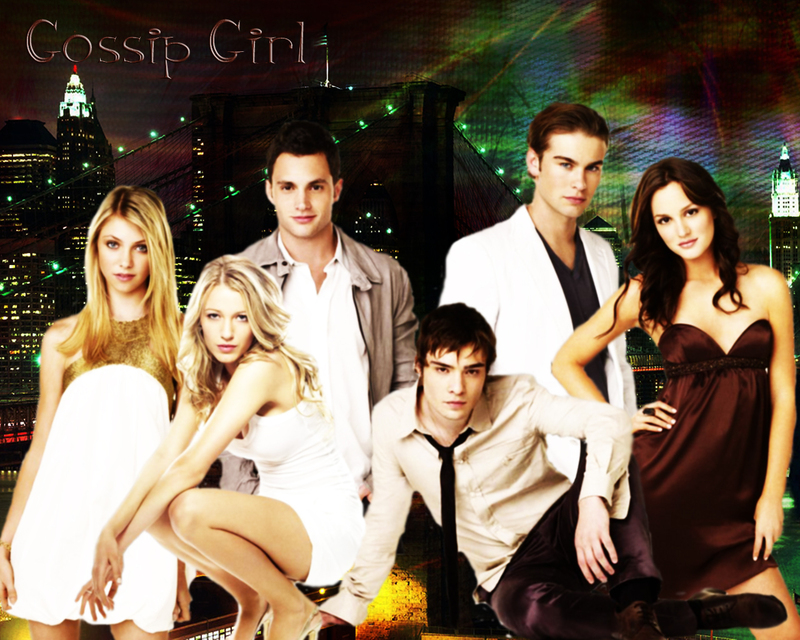 Here's an example - Gossip Girl, Season 1. Cliffie note: IT Girl of the former summer, Serena Van der Woodsen, is spotted back in Manhattan after she disappeared off the map for a year. Everyone recalls the party-loving, booze-chugging, drug-snorting, shag-anything Serena, but the girl who's come back in a new Serena. She's looking for a second chance, and has to face the very human demons she left behind - her best frenemy, Blair Waldorf, aka B; B's boyfriend since kindergarten, Nate Archibald, whom Serena, aka S, had shagged just before she did her disappearing act; S's socialite and serial-divorcee mother, Lilly, who's eager as always to hide the family secrets in the deep, dark corner. All right, this is the start of Season 1. We know that S's backstory is that of the uber party girl. The story of Season 1 is how S comes back and wants to start a new life, especially with Dan, the guy from downtown who's always been in love with her. The bitchiness runs riot between S and B - B will stoop to all levels to get revenge from S for sleeping with Nate. Throw in some Chuck Bass in there, and you get total mayhem. Fast forward, middle of the season. S and Dan are together. S and B have made up and are BFFs again. S and Nate have called a truce even though Nate still loves S and not B (typical of GG). S's mother is getting married to Chuck's father. Then Serena receives a gift package. And another. In there, stuff reminiscent of her 'old' lifestyle. Is it a prank by the devilish Chuck, who's about to become S's stepbrother... or is it something... someone... else? That's how the biatch of all biatches, daughter of Satan himself, psychopathic sociopath and former BFF of S comes into the season. Her name? Georgina Sparks. She wants the old S back, and will stop at nothing to get back the kind of depraved life the two of them used to live. **Pause button** Where does this biatch come from? Uhm... Serena's backstory maybe...? Damn right! The last third of Season 1 then has S facing her real demons. It has Blair, Nate and Chuck (the most unexpected of all unexpected love triangles) rallying and overcoming their differences to help S get her life back from the evil Georgina. It also sets the scene for the downward slope of S and Dan's relationship - will they survive Georgina who is now passing herself off as Dan's good friend Sarah, and will S's past play against her, when it is already obvious she made a heck of an effort to change and be a better person? A lot of the GG fans say that the Georgina episodes were among the most riveting ones of the whole season. Yet, all this wouldn't have been possible, Georgina herself wouldn't have existed, if the creators of GG hadn't beefed up Serena's backstory. That's where they went when things slowed and lagged. That's how they took this series from a possibly boring rich upper crust slice of life full of bitchiness and boyfriend thieving to one that had an original twist, all through the 'history' of one of its main characters. Another perfect example of backstory giving originality in GG is the relationship between Lilly, Serena's mother, and Rufus, Dan's father. Socialite Lilly had wanted to become a photographer, and her model of choice was rock star Rufus, in their youth. 20 years later, their children are dating, but the flame is still burning strong between these two. On the eve of her marriage to Bart Bass, Lilly has a one-night stand with Rufus. Who will she choose - future, or revisit the past? Next time you are beefing up your characters before you even start telling their stories, take a turn into their lives, their pasts, their backstories. You never know when and how you might hit gold and have that perfect twist/detail that will take your story from generic to wow, and also, totally originally yours! One of the hardest aspects of writing for me is incorporating back-story without it droning on and on. Terms like "sprinkle it in" or "weave it thru-out" meant nothing because I didn't know how to do that. I learned by reading how the masters did it - studying how much and how little. Not saying that I'm all that by any means, 'cause I know I've got a long ways to go. Very good post, Zee. Love it! Thanks Sheri. Glad if the post could be helpful. Believe me, it's not easy to find the right dose of backstory to 'sprinkle in' (as if that were fairy dust. Ha!). Still, a good guess would be to start with just what's needed (like they did in Gossip Girl with Serena) and then add the relevant backstory tidbit when an explanation/clarification is needed in the story. You can't really go overboard then. Hugs, girl! You're not alone. Backstory is one of the hardest elements of writing to master. Not enough and the characters are lifeless and bland, they don't come alive. Too much and the story becomes boring, as the pace gets weighted down in all that unneccesary detail. I think of backstory as the characters propulsion system through the water. I'm a big fan of layering. A sentence here, a paragraph here. Just enough to keep the interest up, and build on character but not enough to weaken the pace. Very true, Trish. Totally agree on the layering, that's a very good tip.